There are lots of features to choose from when it comes to buying a snow blower and they are an expensive purchase so you will want to select the best snow blower for your money. We decided to write this post to help you make your decision and some thoughts to help you chose the right machine for your needs and for your money. This assumes of course that you actually want to clear your own driveway instead of having someone do it for you. As you make decisions about the above, you will eliminate many snow blowers, leaving a group that you can choose from. At the same time selecting various features will also determine the price you will pay as well. Once you have settled on a particular feature and found the best price at various dealers in your area, you may want to reconsider some for the features that you fellt you need. For example a 30 inch machine will generally cost more than a 24 inch machine. Both will do an equally good job, but the 24 inch machine will take a little longer to clear the snow from your driveway. This is a basic decision and it really comes down to time vs. how much money you want to spend on your new snow blower. It is always a compromise between features and cost when it comes down to any buying decision. Some features are must have and this will help narrow down your selection. Other features may be nice to have and depending on the price you may or may not decide to purchase a snow blower with the particular feature you need. for example, my old snow blower which I have had for over 20 years has an electric starter. It also has a manual pull chord to start the engine. I think in the 20 years I have used the electric starter twice! Next you will need to confirm consumer reviews about the machines you are considering. This can be a really great way to find out what other people are thinking about the machines they purchased. Read all of the reviews to get a good perspective on both the comments, the machine you interested in and also the dealer. Sometimes a great snow blower machine with a good reputation is hurt by poor service from a dealer. There is lot’s of opinion about this subject. My own is that you are better off going with a manufacturer that has been in the business for some time. They should know how to build and service a high quality machine. If they have been building a particular model for some time, then they should have worked all of the kinks out of the design. Check the reviews to confirm for the model you are interested in. Hopefully you will not need any service other than perhaps oil changes for some time with your new snow blower. But just ins case you need warranty or general maintenance work, you are far better off to make your purchase from a company that you know will provide the support you need whenever you need repairs, parts or maintenance. There is nothing more frustrating to need warranty work and the company you purchased your snow blower from is only selling them on a seasonal basis and provides no support at all for them. 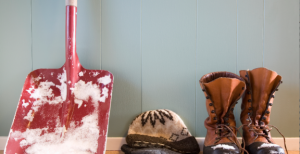 You can also save money by splitting the cost of a snow blower with your neighbor or someone close by instead of each of you having to lay out the cost of a snow blower. Just a thought. Make sure you are on good terms and also write out the agreements so that there is no chance of any misunderstanding later on! I have been clearing my driveway with my own snow blower for 30 years. recently i decided to hire someone to clear the snow rather than do it myself. it will cost more, but i will appreciate the service on those really cold days.